I mentioned a few weeks ago that I was traveling to higher places (literally, the altitude is 5,800′) for a job interview. Some exciting things have transpired since then, but I needed to wait until I got my ducks in a row and had a chance to inform the need-to-know individuals (like all of the grandparents). Now that they are in the know, I will share with you that I will be joining the political science faculty at Southern Utah University, starting this fall! Cedar City is a very kid-friendly town with a surprising number of recreational things to do indoors and out. 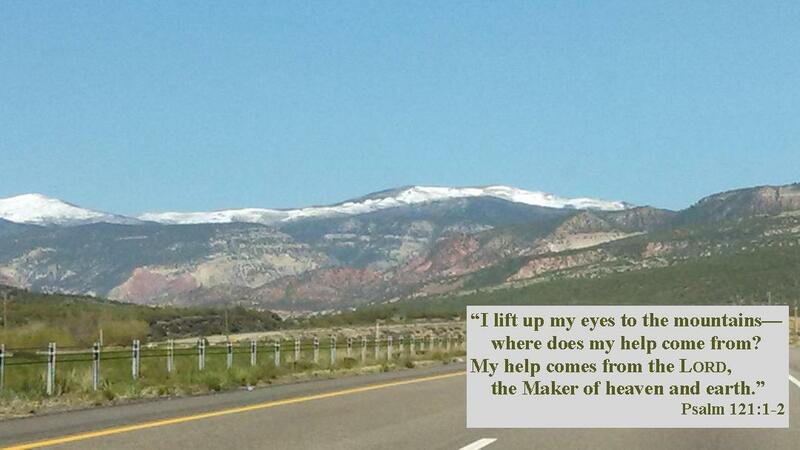 It is a tremendous career opportunity for me, and the boys are ecstatic about living near snowy mountains. I will be teaching classes in the MPA (Master of Public Administration) program, as well as standard political science courses. There are umpteen bazillion things that I need to do in the very near future, not the least of which include cleaning/purging/organizing and a few minor touch-ups around my house, so that I can put it on the market asap. My realtor is coming over next week, and the house isn’t fit for dinner company right now, much less a tour. We’ll get there, though. I am tasking the older two with making an inventory of larger-than-a-box items, such as furniture, appliances, electronics, instruments, etc., so that we can determine what is worth moving vs. giving away or selling. The younger ones are tasked with purging their stuffy-stuff collections and making piles to give and/or throw away. I used a tub of Play-Doh as an example: if it can be purchased at the dollar store, then it probably isn’t worth packing and transporting. I’ve also instructed everyone to set aside a couple of weeks’ worth of clothes and bag up the rest to save for next school year and/or hand-me-downs (the older 3) or give away (the younger 2). That’s something that I try to do every summer, anyway, but some years seem to work better than others. I’ve been going through bookshelves and filling boxes to donate to the church library or exchange for credit at the used bookstore in town. (That may sound counter-intuitive, but if I get one new book by exchanging a couple of old books, then I’m still down by one book, right?? 🙂 ) As we get better organized, I’m going to set aside things in one room for a give-away to friends and family: books, DVDs, furniture that we won’t be moving, etc. 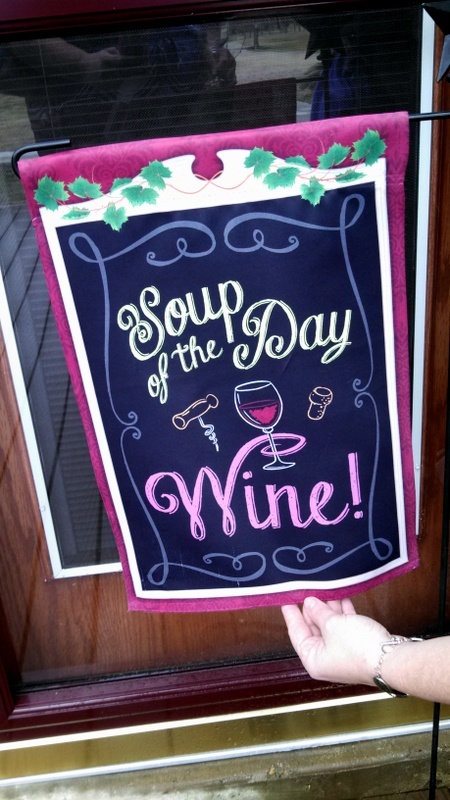 Maybe I’ll even bribe some girlfriends to help me clean by offering to pay them in wine. Hey, it’s less fragile stuff to pack! 😉 Besides, Utah is one of those peculiar states that regulates alcohol coming across the state line. The more we drink before I go, the less complicated it’ll be. Hmm, then again, I could just put all the kids in one room and turn the basement into a wine cellar. Heehee, I’m kidding. How is it that kids move at the speed of molasses when you actually need them to get somewhere, but as soon as you turn your back for a split-second, they can perform superhuman feats of agility? I have found myself in this situation more often than I care to admit, but I’m thinking about a particular instance when one of my sons (about 4 years old, at the time) managed to climb onto a curio table, and the sounds of broken glass and him screaming sent me running back around the corner from where I could swear I had *just* turned. By God’s grace, he was ok, but my table was demolished. It was the one “pretty” thing I had displayed in the house, and it held my most precious souvenirs from when I lived in China. The trinkets may not have much monetary value, but they are certainly sentimental and irreplaceable – especially a Chinese art book from a friend whose English nickname is Debbie. I remember going to dinner with Debbie one evening in the city where we lived, and she asked for a fork. I thought she was being polite and offering it to me (though I knew how to use chopsticks), but she said that she had never used a fork in public before and wanted to try it. We had such fun together. The colorful book of ink drawings that she gave to me when I left is all the more special simply because it was a gift from her. I would be devastated if it was ever ruined. Yet, in that moment of consoling my son and making sure that he wasn’t injured, the table and its contents didn’t matter. That art book may very well be the most priceless possession I own, but it is still just “stuff.” Matthew 6:19-21 reminds us where to place our priorities when it comes to the “stuff” in our lives. It says to not worry so much about stocking up treasures here on earth, where thieves can rob and time can erode (and preschoolers can demolish!). Instead, stash away heavenly treasures – the ones that can never be destroyed or stolen. I haven’t told you the most special thing about Debbie yet. Yes, we had fun together and I miss her a lot, but she was more than just a sweet friend … she became a sister in Christ. All of the fine art in the world cannot compare to the joy of knowing that even though Debbie and I may never see each other again this side of eternity, we’ll be friends forever in Glory. And that is a treasure, indeed! 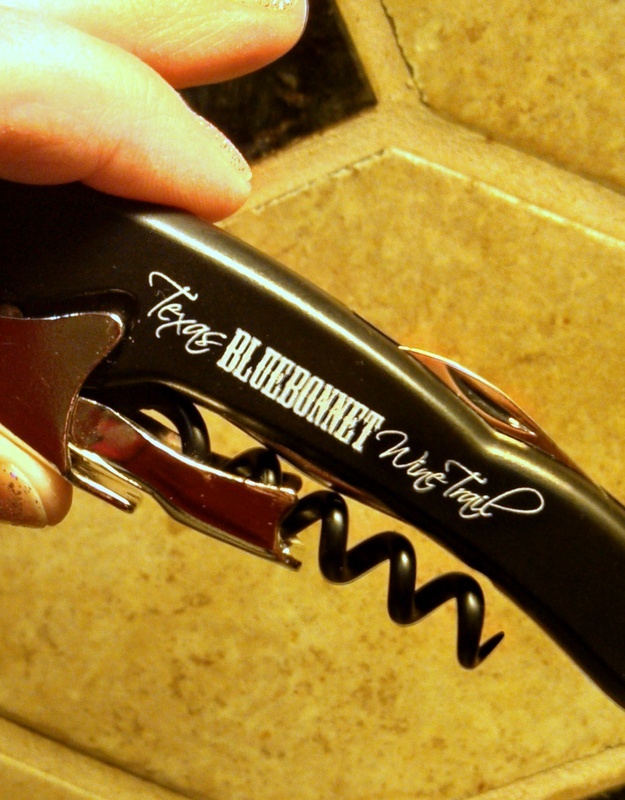 The Texas Bluebonnet Wine Trail features seasonal events throughout the year, and this month is a wine & chocolate pairing. My best friend and I try to “run away” a few times a year (we have 8 boys between us), and this sounded like the perfect girls’ weekend! 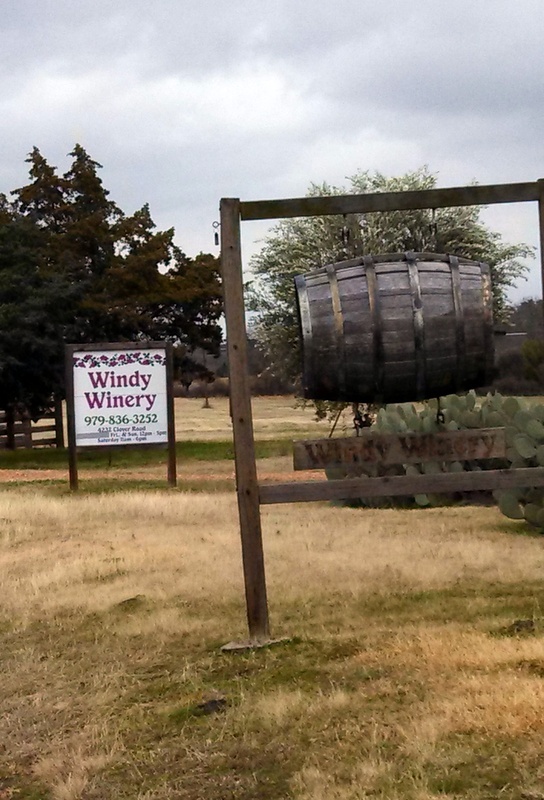 There are seven participating wineries* along the Hwy 6/Hwy 105 corridor in south-central Texas. 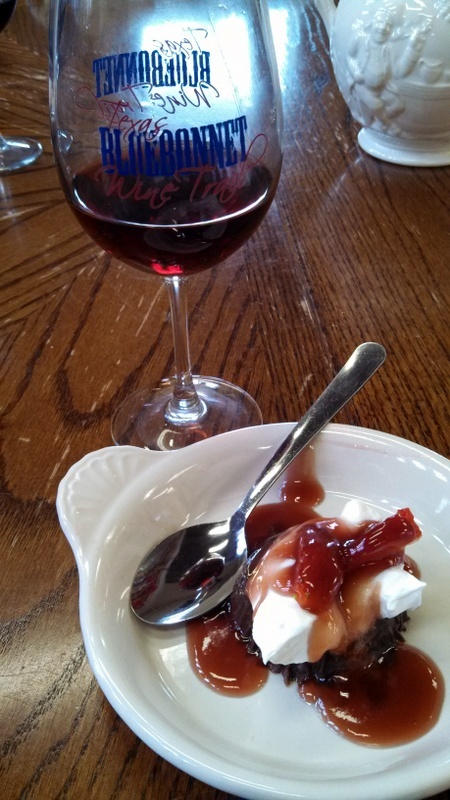 Each winery featured two tasting selections and a sample-sized chocolate dish. Since the event ran Sat-Sun, we needed something to do on Friday evening. So, we started our wine tour off the trail with three stops in the west Houston area: Cellar Door, Circle S Vineyards, and Braman Winery (which also had live music that night). *In case you’ve never been to a wine tasting before, I should clarify that the tastings are usually 1 or 2-oz pours, so if you sample 2-3 wines, you get a half to one glass worth, and that’s if they are generous pours. 😉 I promise we didn’t get hammered!! 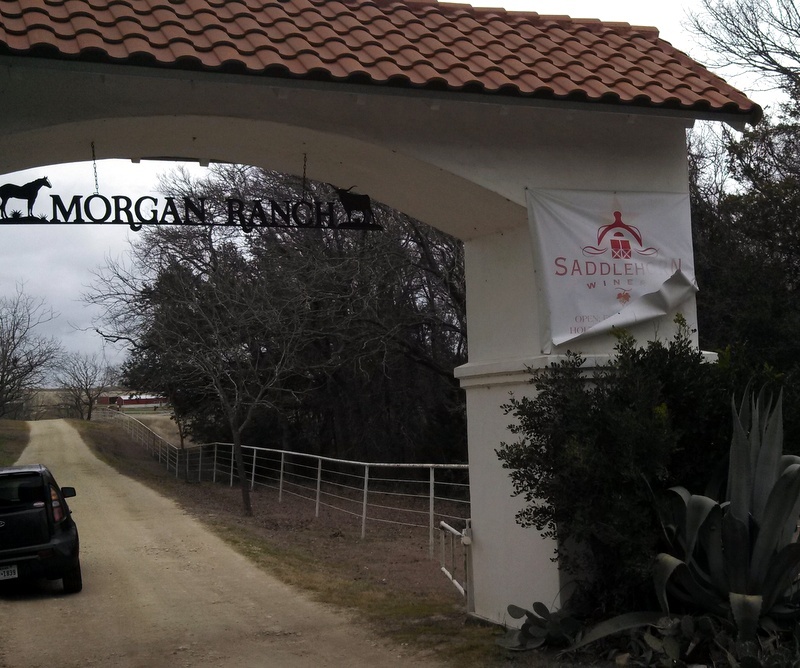 We stayed in the Katy area on Friday night and started on the official trail with the three participating wineries in the Brenham area on Saturday: Saddlehorn, Pleasant Hill & Windy Wineries. Next, we went to Bryan/College Station for two official stops, plus one extra just for fun. Messina Hof is an old favorite of ours (and their featured jalapeno chocolate truffle was to die for! 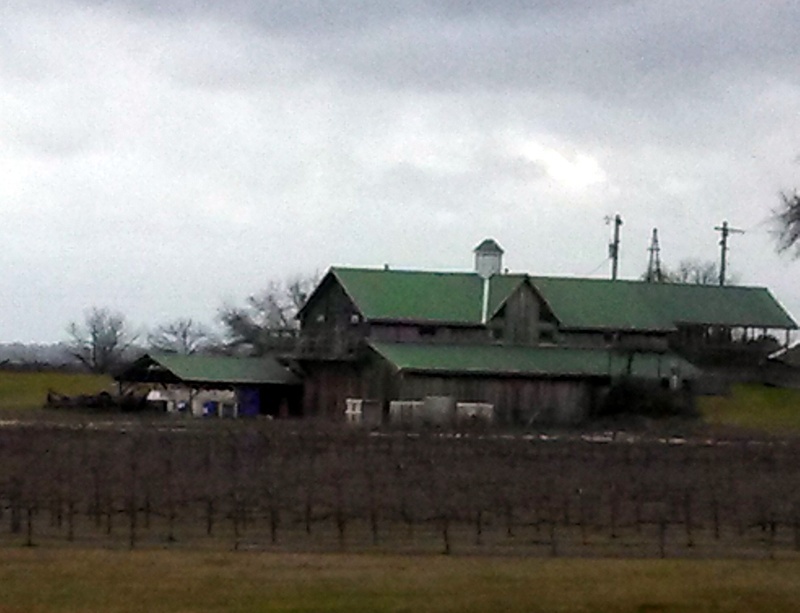 ), but we were excited to discover Peach Creek Vineyards (where we savored a terrific chocolate mole dish! ), and we enjoyed some more live music and a sample flight at Perrine Winery in town. We stayed the night there before we hit the last two wineries on Sunday. The last two wineries were tucked away, one in the rural town of Montgomery (Cork This! Winery), and the other was down a semi-paved road that were it not for signage, we weren’t sure we were going the right direction. 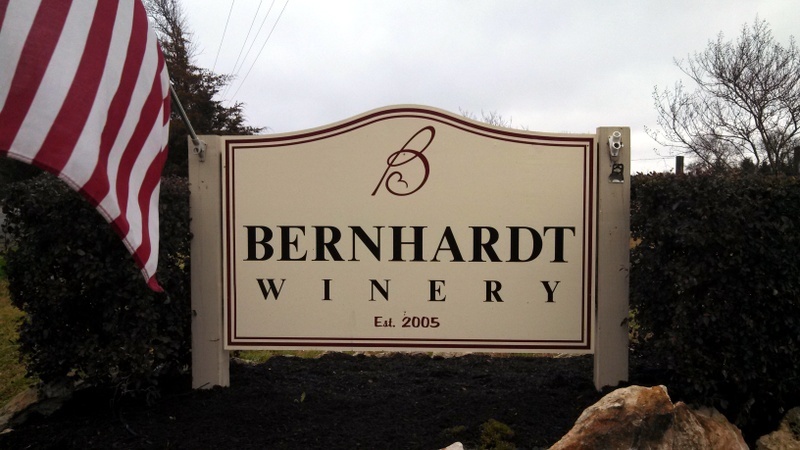 Bernhardt Winery was worth the drive into the boonies, though, because we enjoyed a fantastic port-filled chocolate candy, as well as a delicious chocolate cobbler with a dab of ice cream. It was so good that we stayed and tried a port flight, as well. We learned a lot about the history of port wine and sampled some truly delicious wines. 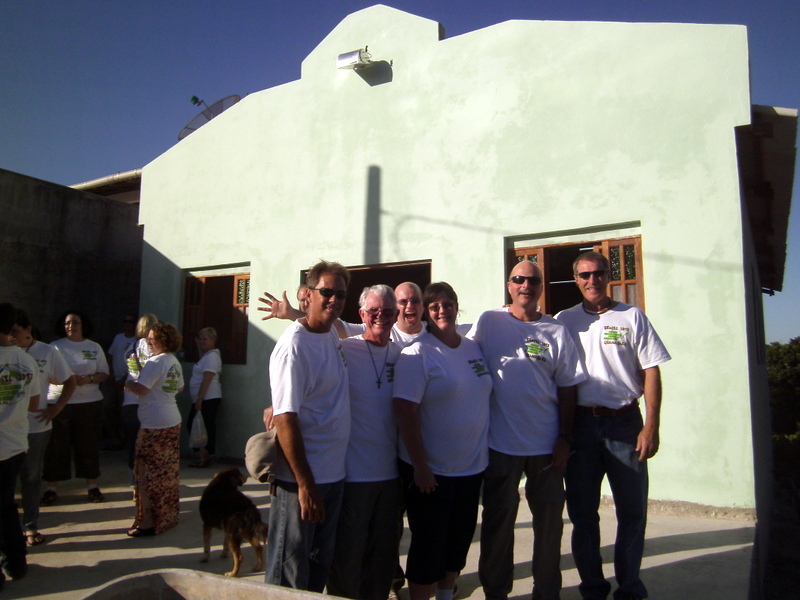 Brazil photos: the finished chapel! Here is the standing-room-only crowd at the dedication after we finished the chapel. If you have never experienced a worship service in another language, it is an amazing experience! It made me feel like we got a little glimpse of what heaven must be like! Here is part of the construction crew, before the dedication service. It was an honor to work with these guys. I learned a lot and appreciated their patience as I tried new things. The exterior is mostly finished in this photo (taken from the soccer field across the road), but we still needed to varnish the windows and paint the front wall. My pastor asked me to give the construction report for our Brazil trip at church this morning, so I thought I would share my notes here. We’ll have a video slideshow of pictures to accompany the report. My two-fold hope is that people will realize that they, too, are capable of participating in a project like this, and also that folks will understand that the construction was about more than just a building. I was asked to give the construction report, and as I thought about what to share, I realized how dull it might sound to most of you to hear about the half-dozen pallets of bricks that we moved from Point A to Point B to Point C and back to Point A during the first couple of days. The pictures of sweaty folks spreading masa, painting with respiratory masks, climbing scaffolding and using power tools aren’t as flattering as the VBS team’s colorful and playful snapshots, I’m certain. I suppose we could have a show-and-tell about our scrapes, bruises, sunburns and Bob’s broken foot :), but what it boils down to is that building a chapel in roughly six days was a lot of hard work. But, it was also one of the most rewarding things I’ve ever done in my life. 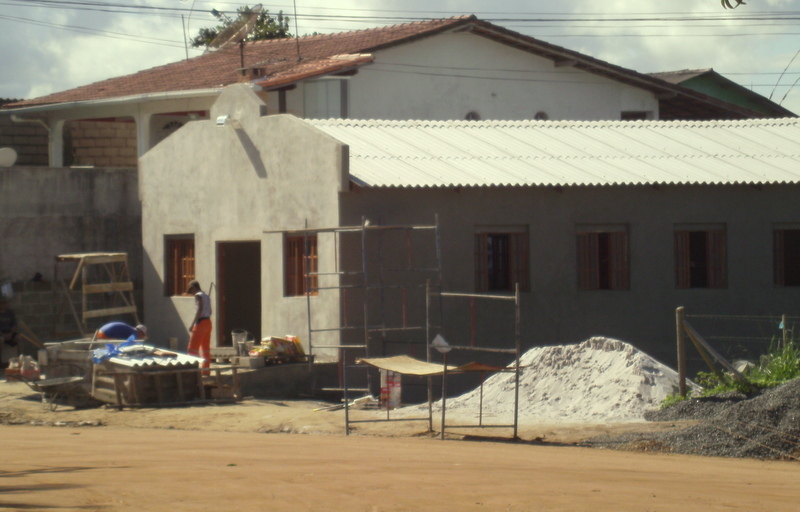 As we were building the chapel in Guanabara, I realized that we were adding to the kingdom of heaven, heavy brick by crumbly brick. On the first full day at the site when Val showed me ever-so-patiently how to spread masa on cement blocks, I thought about people like him and his precious wife Luciana, who came to know Christ as a result of previous mission trips, and my heart rejoiced. On the day we finished the walls and began the roof, I listened to Fidelis (one of the pedredos) singing praise songs in Portuguese while he worked, and I thought about one of the last memories I have of my brother, standing next to him in church singing, and he looked over at me and smiled with that smirky grin of his, and my heart longed to hear his voice again. When I walked across the street to use the restroom at the neighborhood bar – a place where many in the community perhaps sought escape from the stresses of life, I wondered about people who would happen by the church and stop in, out of curiosity, and my heart ached for them to find real refuge in our Savior. This, friends, is the kingdom of God on earth. 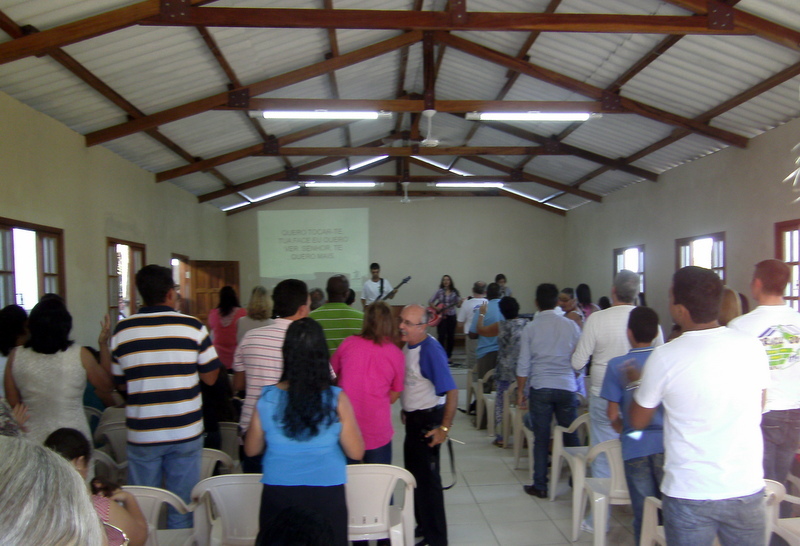 For now, we worship at a distance from the new church in Guanabara, but one day, we will stand together in worship of our God and Savior. We’re home! I’m trying to make myself stay awake a little while longer, because even though it is only two hours’ difference, the return trip has wiped me out. I’m looking forward to a long night’s rest in my own bed. Thanks for the prayers & encouragement while No. 1 & I were in Brazil! I’ll try to post pictures soon. It’s hard to believe that today is our last full day here. We went back to Guarapari this morning for a few souvenirs & snacks from street vendors, then we came back to the hotel to get ready for the church dedication this afternoon. The dedication was special. The church was overflowing, so the Americans (& several Brazilians) stayed outside. My behind is so tired of sitting on concrete, but it was worth it to be there. The pastor was very thankful, and I got hugs & cheek-kisses from several folks before we left. Tonight, we’re packing & saying our goodbyes to others who leave at earlier times tomorrow. It will be nice to sleep in! 🙂 Once we get home on Monday & I have a chance to sort through things, I’ll try to upload some more pictures. Thanks for all the prayers this week!